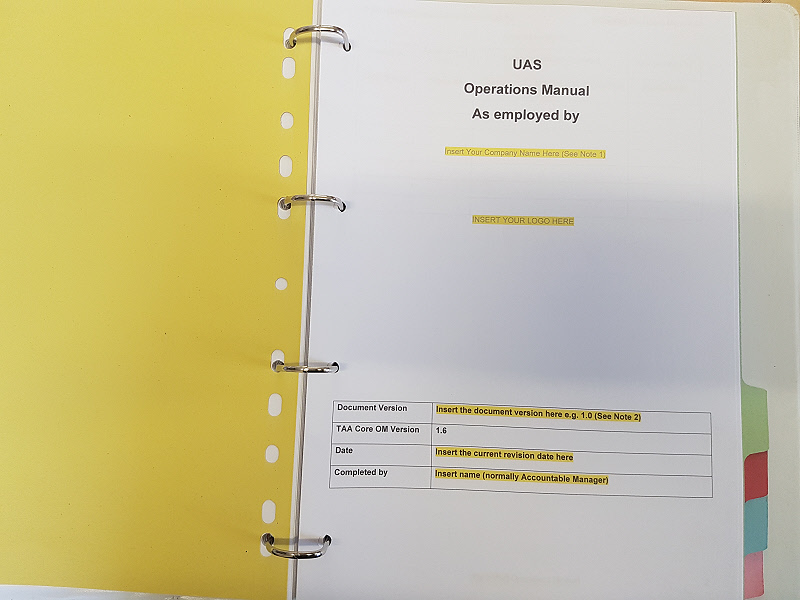 The Operations Manual is at the heart of any operator, it is, if you will, the bible of all UAS/RPAS operations. It is also the document from which you are tested, first in your ability to produce one and secondly in your ability to follow it once in place. The Operations Manual covers elements such as aircraft specifications, types of operations performed by the operator, how and when a location is risk assessed and even down to checklists for operating the aircraft itself. As this is such a crucial document, it is vital that it be produced to a high standard. This is often a daunting proposition for someone who has never had anything to do with them before, much less produce their own. This is where we come in, we run one-to-one courses on the content of the Operations Manual, how best to format it and tips for writing it. This one day one-to-one course provides insight into why the Operations Manual is so vital, what it should contain and how to write a high standard and successful one.